Offshoring has become a strategy used by many businesses to find staff with specific skills, increase efficiency, and reduce administration and overhead costs. While having an offshore team can assist with helping you reach your business objectives and goals, the concept of offshoring is still misunderstood and for some, frowned upon. There is a widely held belief that it causes disruption, and is hard to manage due to cultural, language and other perceived differences. Working with a remote team does not need to be difficult, stressful, or complicated. All it requires is good business planning and the right approach to managing your people. Take the time to explain to your offshore team what your expectations are of them. Goals and KPIs can be easily accomplished by clearly defining their roles, briefing them on the assigned projects, identifying which projects to prioritise, and having them take ownership of their work. This will enable them to be aware of what you expect from them. It is important that your remote staff have a clear view of what your business goals are and the purpose of the projects they are working on. This makes them feel part of your organisation and allows them to align the quality of their work and professional goals with your company’s success. Building SOPs for your organisation helps increase efficiency, reduces errors and improves the quality of deliverables. While the concept of creating SOPs may seem simple, many organisations get stuck thinking about the format and structure. Optidocs is the easy way to rapidly and cost effectively build Standard Operating Procedures. When people know how to do their job, they can work efficiently and effectively. Instead of spending their time troubleshooting or trying to navigate around various systems, it is important that offshore staff are properly trained in your systems and given the necessary access to deliver their daily tasks. In a global team setup, it is very important to develop a good communication rhythm as it brings a huge amount of comfort, connectivity, and engagement to the team. With so many virtual tools, it becomes much easier to communicate with your team members. You just have to choose the right tool depending on your specific needs. Learning how to effectively manage a dedicated offshore team can be challenging. However, if you follow some of the above points the output can be rewarding and incredibly beneficial to the success of your organisation. Thinking of building an offshore team but don’t know how and where to start? We can help. optiBPO assists companies plan, build and manage dedicated teams in the Philippines. We help manage your outsourcing risk, by starting small, clearly defining scope, proving the concept, building confidence, and then extending. Contact us today to know more. Alternatively, you can join the optiBPO webinar to learn more. 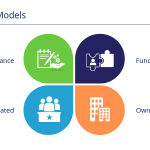 To create success in outsourcing, it is critical to understand what model will work best for you. This will depend on the type of support required, and your business objectives. Take a look at each model's advantages and disadvantages and see which approach suits you best.